It’s always a great idea to plan your move well in advance. Usually, planning two to three months ahead of time is a good time span to get all of your belongings sorted out and packed away. Although Men on the Move recommends you to plan ahead, sometimes people don’t have time and have to move last minute. Regardless, we are here to help you. Throw away the unnecessary junk. Getting rid of the items that you don’t need is essential when doing your last minute move because it helps you in the long run. Instead of just packing up everything and moving, sorting and throwing away or donating the things that you no longer want makes your move easier. The less items you have to pack, the less stress you’ll have when moving. Moving takes time and energy and by having everything already sorted out or thrown away prior to moving to another location, it will make your move even smoother. Make piles. Sorting your belongings into three piles (to keep, to throw away, and to donate) can be very beneficial during your last minute move. If you haven’t used, worn, or played with it in over a year, throwing it out or giving it away would be your best bet. Moving last minute doesn’t have to just involve you; your family and friends can get involved too to help your move go by faster. Start packing. Men on the Move suggests to use boxes when packing. Used or new boxes, the choice is yours. Make sure you properly wrap things such as mirrors, lamps, and glass with bubble wrap for safety reasons. Fragile objects like that will need to be carried more carefully than things such as clothes and shoes. Once everything is packed away, look around your old home to make sure you’re not forgetting anything. 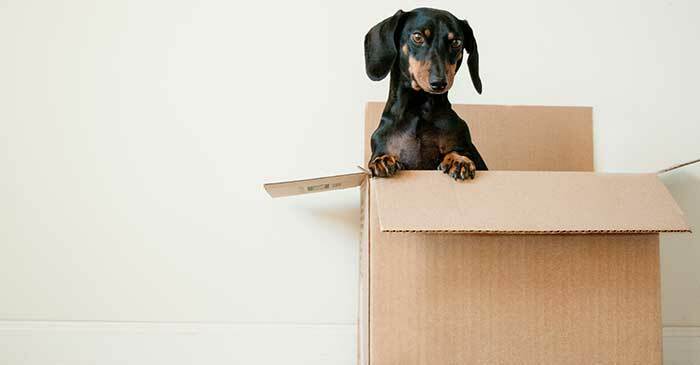 Check out our tips on properly packing your boxes for some helpful advice! Men on the Move loves to see our customers satisfied. If you’re currently packing for your last minute move, contact us today. Let us help you take that burden off of your shoulders. Moving from one place to the next means packing and emptying a lot of boxes. The bigger your house, the more boxes you have when the job is done. An average move uses around 60 boxes, which is a half ton pine tree! 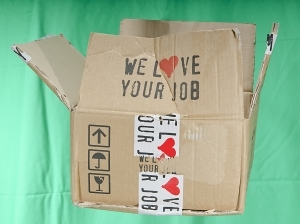 There are many ways in which you can reuse or recycle your boxes rather then putting them on the curb for the garbage man. A great way to recycle moving boxes, or large appliance boxes is to give them to the kids. Children can decorate and create unimaginable things from cardboard. As a child my favorite was to create a little house out of large recycled boxes. You can cut out a door, windows, paint the house, and let your imagination run wild. You can make costumes, castles, forts, furniture, and countless other creations from a simple cardboard box.